Customer satisfaction in bus services across most of greater Sydney has risen, except in the northwest and inner south, according to a NSW Bureau of Transport Statistics report released this week. Sydney’s contracted regions 4 and 5, which account for a north-south spine on either side of the CBD remains a challenge for the O’Farrell government and Transport Minister Gladys Berejiklian, with both areas recording lower satisfaction levels compared with the rest of Sydney. However, both areas still reported encouraging satisfaction rates of 79 percent and 82 percent. 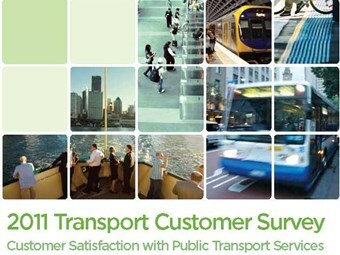 The 2011 Transport Customer Survey says while satisfaction is generally high across the regions, with all registering at least 75 percent customer approval of bus service levels, there are a few Sydney suburban pockets requiring attention. The report cited eastern suburbs down to Port Botany and parts of the north shore and northern suburbs as the main areas where improvement can occur, although both areas recorded overall better results than the outer northern and inner southern suburbs. For the rest of Sydney, 93 percent of passengers rated bus services as either equal or better than 12 months ago, with 41 percent of patrons saying services had improved. Just 7 percent of passengers felt bus service levels had slipped. BusNSW Executive Director Darryl Mellish says the private bus industry welcomes the Transport Customer Survey and recognises the importance of such surveys to monitor and improve performance. "The industry believes there have been significant improvements to Sydney’s bus services despite the challenges of road congestion in the metropolitan area," Mellish says. "We are encouraged by the results of the survey, with around nine in ten customers satisfied with their bus service overall." He says with 93 percent of bus customers rating their services as equal to or better than 12 months ago shows Sydney operators are moving in the right direction. The survey further highlights the fact that most factors impacting on customers’ experience are controlled by Government. These factors include service frequency, travel time and on-time running, passenger information, ticketing, bus stop comfort and safety, and parking near a bus stop. "With the new integrated transport authority Transport for NSW now in place, BusNSW looks forward to working with the Government on strategies to further improve customer satisfaction," says Mellish. He says the satisfaction of customers in relation to service frequency – at just 62 percent –supports the need for Government to invest in more buses and more services on well-patronised routes. "Patronage is increasing and further work is ongoing to improve capacity, reliability, and connectivity with other public transport modes," Mellish says. "Bus operators will be using the survey results as a valuable tool to focus on specific areas of their performance and will be working with the NSW Government on further improvements," he says.